Meeting regarding Ridge Avenue parking Reviewed by Edgeville Buzz on June 27, 2009 . EDC-ECC Planning & Development Meeting Thursday, July 2nd @ 7PM ECC Conference Room, 6044 N. BroadwayAgenda: Ridge Avenue parking – Consideration to allow parking on the section of Ridge Avenue from North Clark Street south to West Hollywood Avenue. Parking would be PROHIBITED 5 pm to 7 pm and 8am to 9:30 am all days. 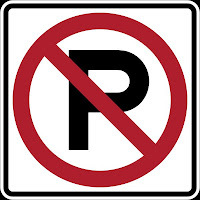 Agenda: Ridge Avenue parking – Consideration to allow parking on the section of Ridge Avenue from North Clark Street south to West Hollywood Avenue. Parking would be PROHIBITED 5 pm to 7 pm and 8am to 9:30 am all days.